January 22, 2014. Posted in Mumbai. 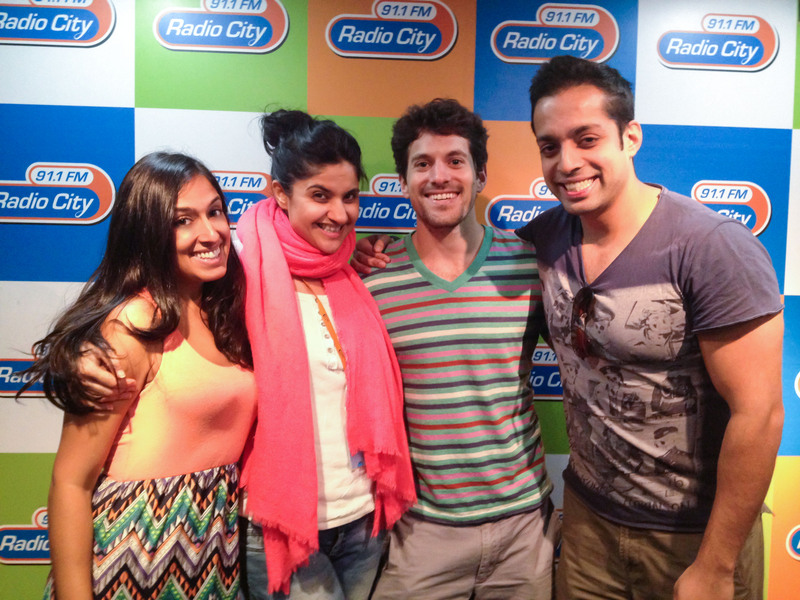 So began our Hindi radio debut on one of Mumbai’s highest rated morning talk shows, Kasa Kai Mumbai on Radio City 91.1 FM. Just as millions in the Maximum City were drinking their first cup of the day or sitting stuck in rush hour traffic, we chatted with hosts and Salil Acharya and Archana Pania about Bollywood and where to get the best cup of chai in Mumbai. After commenting on our favorite film of the season, Ram-Leela, we gave a shout out to two of our favorite Mumbai chai wallahs: Santosh and Rajendra. 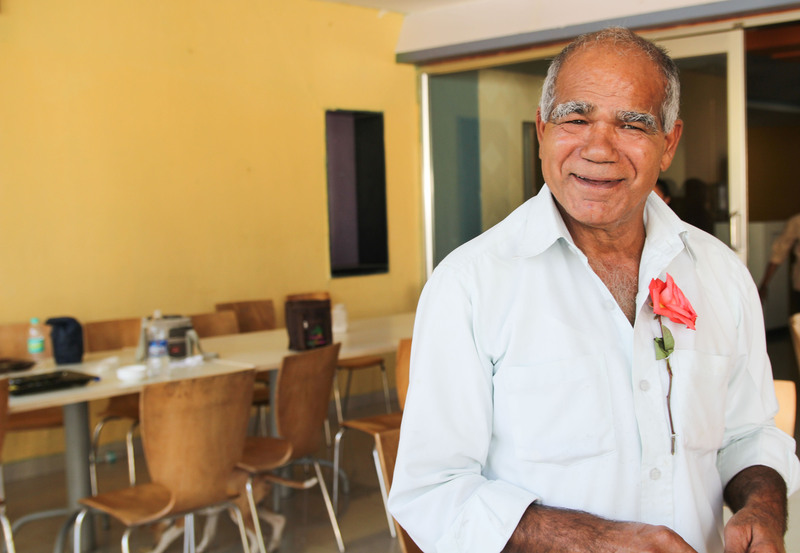 Santosh now runs Janta Seva Hindu Hotel, the tea stall where he has been working for the past 15 years since he was a boy. We were tipped off to Santosh by Joanna Lobo, a reporter at the newspaper Daily News & Analysis, or DNA, when she was writing a piece on our chai project. “Most of the DNA staff would go to his stall every day,” she said, recalling how she and her colleagues would gossip about office politics over cups of Santosh’s gingery chai. DNA has since moved to a new office complex about twenty minutes away, which has imposed a change in caffeine consumption patterns – there is a Starbucks in the lobby and chai wallahs are prohibited from entering the complex. This has caused a crisis among the DNA staff. Tags: Archana Pania, Bollywood, Mumbai, Radio City, Salil Archaya. January 20, 2014. Posted in Ek Shabd, Mumbai. For our ongoing Ek Shabd photo series, we have been asking people around India what one word comes to their mind when they hear the word chai. But one word is not enough to tell the stories behind these individuals. This post, about a clown in Mumbai, begins a series of profiles describing the people whose pictures are included in the Ek Shabd gallery. 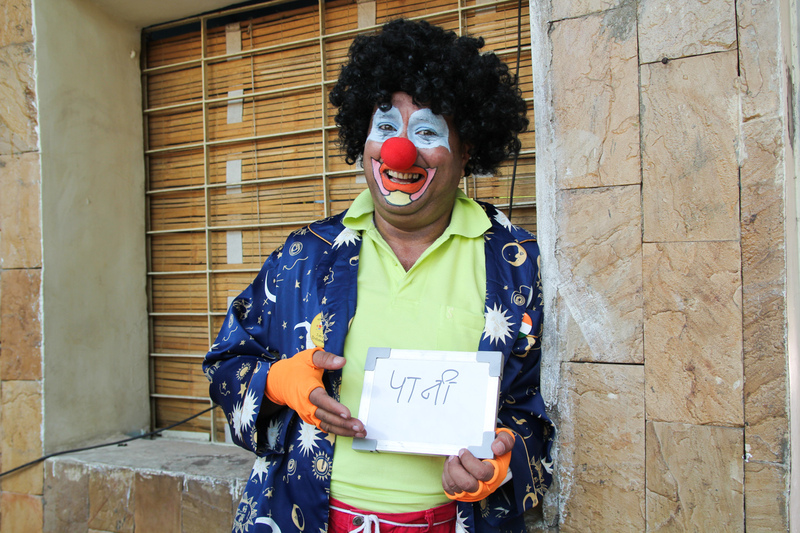 Foolingyou, a clown based in Mumbai, poses for our Ek Shabd photo series. Mr. Foolingyou, whose website claims he is “The first ‘INDIAN’ clown,” has been clowning around professionally in Mumbai for 15 years. “Before that I was in the Navy. There were a lot of clowns there too,” he jokes. “Chai-pani” literally means “tea-water” in Hindi, but it is widely used as a phrase for a bribe, representative of the petty corruption that is rampant in India. If you want to avoid a ticket after being stopped by a cop or want to get your file to the top at a bureaucratic office building, you might be asked to give a little “chai-pani,” just enough to buy a round of tea or two. 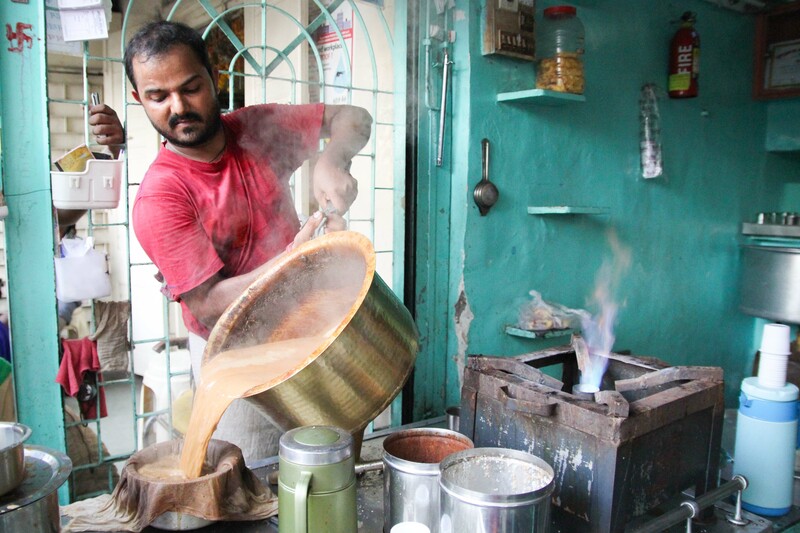 For more stories of what chai means to people from various walks of life in India, visit our Ek Shabd gallery. December 22, 2013. Posted in Mumbai. As we entered the gates of Mumbai’s massive Film City, security guards descended upon us demanding to know what business we had there. Just a few yards in front of us was Kareena Kapoor Khan, one of Bollywood’s biggest names, makeup artists fussing over her face. But we weren’t there to see Kareena. We had come to meet another legend of India’s booming entertainment industry – Balwan Singh Negi, who has worked as a spot boy for the past 40 years, serving chai on the sets of upwards of 200 films. Balwan Singh Negi, who goes by the name Bahadur, has been serving chai on Bollywood sets for the past 40 years. From behind the scenes, Bollywood’s spot boys keep the industry going. They move equipment on set, keep gawking crowds out of shots, perform odd jobs as needed, and of course, make and serve the chai that gives actors the boost they need to film the same scenes over and over. When we told security we had come to see Mr. Negi, known affectionately as Bahadur, a guard replied, “Oh, that is a very senior man you have come to see!” We were whisked past Kareena’s entourage and beyond a table with a thermos labeled “VIP Tea,” to the side of a film prop warehouse where Bahadur was stirring a pot of boiling milk. Tags: Amitabh Bachchan, Bahadur, Balwan Singh Negi, Bollywood, Chai, Chai Wallah, Dharavi, Film City, India, Jai Santoshi Maa, Kaanchi, Kareena Kapoor Khan, Kartik Tiwari, Karz, Mishti, Mumbai, Rishi Kapoor, spot boy, Subash Ghai.